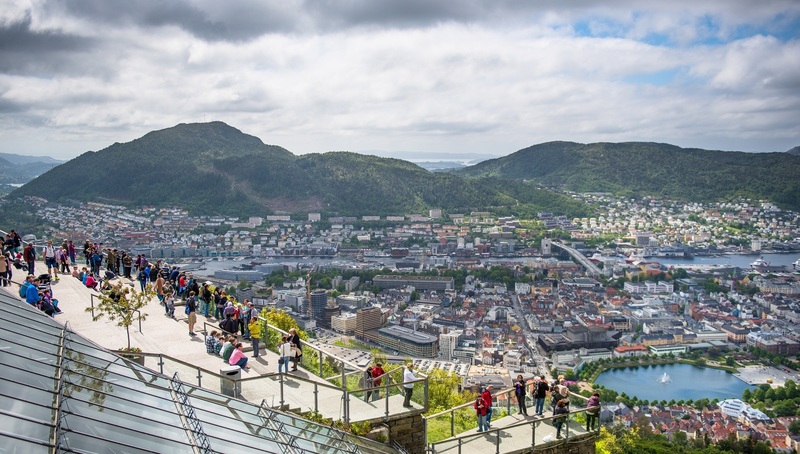 We have compiled 10 suggestions for walks and hikes in the mountains around Bergen with Mount Fløyen as starting point. Fløibanen is the experience that no visitors to Bergen should be without. 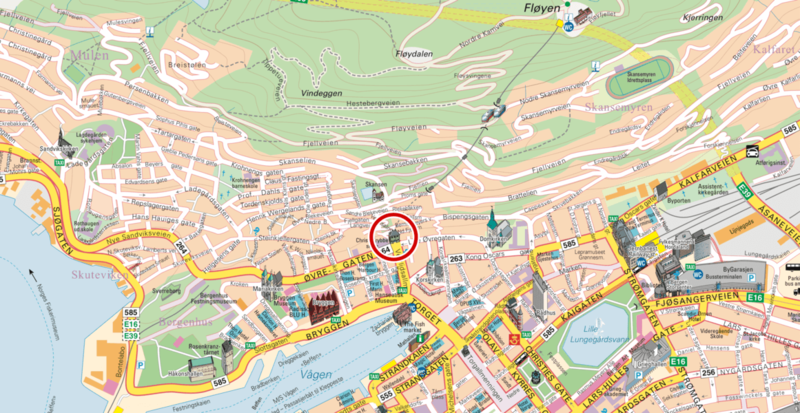 It is one of Norway’s most visited attractions, and you will find it in the heart of Bergen in Vetrlidsallmenningen 23A. Just a few minutes walk from “Bryggen” and the Fish Market. The nearest bus stop is called «Torget» and form there it is only a few minutes walk. From Bergen Bus Station it will take you appox. 10 minutes to walk. From “Strandkaiterminalen” port there is a few minutes walk. 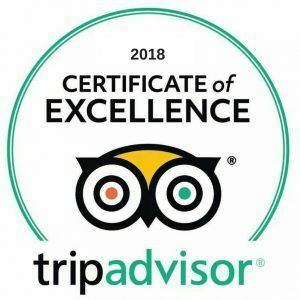 We are situated a 15 minutes walk from “Jekteviken” port and seven minutes from “Bontelabo” port. The closest parking house is Rosenkrantz parking 250 metres away.